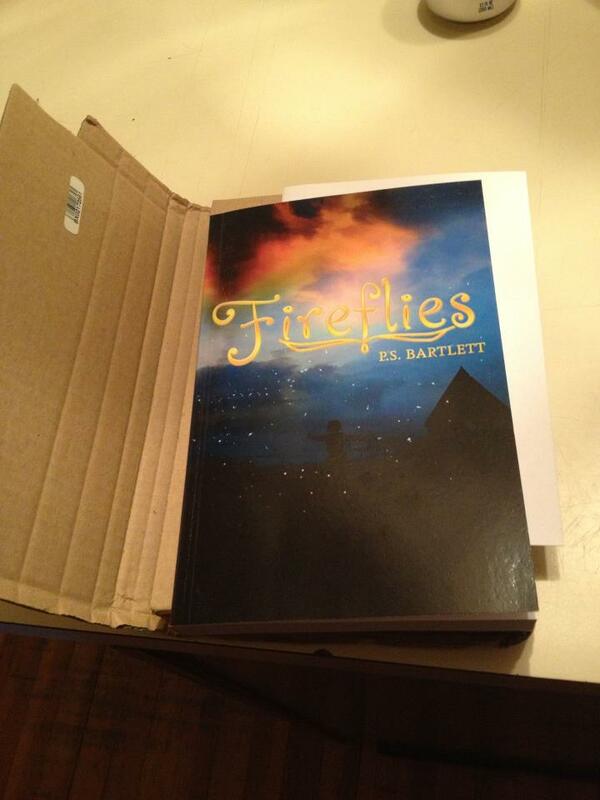 I started out tonight as a giddy girl, wanting to tell the world that I received the proof copy of my very first, soon to be published novel “Fireflies.” Sometimes I forget my age. Sometimes I forget that a year ago, this was all a dream. Sometimes forgetting is the best thing for you, except when it comes to what you’ve been through in order to become who you are, because that is the only way to remember how to get where you’re going. I suppose you could call me a late bloomer. Go right ahead, I don’t mind. Last summer I found myself with actual time on my hands. Make that, actual free time which during the hiatus of my few favorite television shows I would normally use reading or drawing but this time, I decided to make a conscious effort at beginning the journey down one of those “less travelled” roads we all have. No, I didn’t take up sky diving or roller skating, I’d first have to spend at least six months in a gym to even try those but I knew one thing for sure, my brain and my imagination were always in the best shape and were kept so with constant daily exercise. Like many people, if not all people, I had a lot of dreams when I was a child which unfortunately, as most teenage girls do, I set aside because I allowed that voice to get inside of me; the one that tells adolescent girls that their choices are limited. Maybe not as much now as it did when I was fifteen but it’s still around, lurking in the classrooms, magazines and media of their impressionable lives and sadly, even those closest to them. I heard that voice. I honestly can’t remember where or when but I must have heard it or I probably wouldn’t be accomplishing one of my dreams so far into my life. Now don’t get me wrong, I’m not old by a long shot and there’s still a lot of ink my plume, um…I mean pen but what I’ve found is that my life has been purposeful and full. I’ve been pretty damn busy for most of my years and I’m very proud of most of it. It may have taken me a while and I sure did take the back roads to get here but I have lived. I have loved. I have been engaged in joy and pain and experienced relationships that have prepared me for today. Maybe I’m not a late bloomer. Maybe I’m more of a Redwood, with my roots stretched out beneath the ground, gripping firmly into the earth and from there, climbing and climbing, seeing the world from every height and appreciating each view as each year passed and each foot of life thickened me in order to support the weight of my branches. What is more of a symbol of life than a tree? Anchored, thick, strong, tall and yet at its greatest heights, reaching out, showing off its foliage and producing beads of itself to live on forever and all the while, supporting other lives, right down to the smallest molecules of oxygen in order to sustain its surroundings. In a lot of ways, I do feel like that girl again when I’m writing but with a lifetime of experience to draw from and so much to share I may never have time to say it all. All I know is, like everything else I’ve ever done in my life that truly mattered, I’ll give it everything I’ve got and I hope that I’m able to touch that place in my readers where they know I really do understand and I’ve felt what my characters are feeling, whether they be slaying dragons or dancing in the rain. This entry was posted in life, Personal, Uncategorized, Writing and tagged author, book, books, dreams, family, goals, life, love, success, trees, Writing by P.S. Bartlett. Bookmark the permalink.